On the occasion of being named 2017 Supplier of the Year by Electric & Hybrid Marine Technology journal for the third consecutive year, we at Corvus Energy would like to recognize the companies and the people who specify and integrate Corvus Energy ESS battery systems into their advanced marine propulsion systems. These designers and executives share our vision of accelerating the shift to environmentally sustainable energy solutions. Siemens—Leading the greening of the industry, Siemens has supplied propulsion systems for more hybrid and electric vessels than any other integrator. 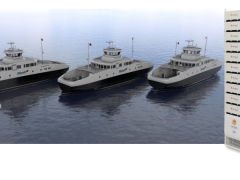 Vessels include Norled, Fjord1 and Scandlines fleet of hybrid ferries, a Norled all-electric ferry, as well as a variety of hybrid tugboat, fishing, and offshore drilling platform supply vessels. Wärtsilä—Wärtsilä provided the propulsion systems for Norled’s full-electric ferry, Fogelfonn, and is currently retrofitting their second Eidesvik Offshore drilling platform supply vessel. Elkon—Elkon of Turkey has provided the propulsion systems used in two Seaspan hybrid cargo ferries in British Columbia, Canada. Aspin Kemp & Associates—Applied in hybrid tugboats and dive support vessels, Aspin Kemp & Associates has integrated Corvus Energy ESS into its hybrid propulsion systems. BAE Systems—BAE Systems is supplying their HybriDrive Propulsion System in a 500-passenger tour boat, a hybrid catamaran dive platform and research lab, and a 132-foot Brigantine Tall Ship. Ingeteam—Ingeteam provided the propulsion system for Dutch operator TESO’s hybrid ferry. 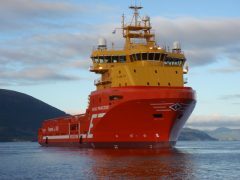 Halvorsen Power Systems—Halvorsen is taking the lead on the retrofit of a Norwegian marine research vessel. 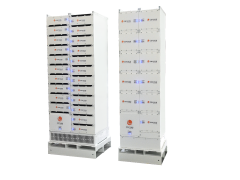 General Electric— GE’s Power Conversion business has built a marine power test facility and customer demonstration center that integrates GE technologies and the Orca ESS from Corvus Energy, for merchant, naval and offshore applications. ACEL—The Norwegian integrator is doing testing across multiple maritime applications. CCCC Shanghai Equipment Engineering (CCCCSEE)—In a related maritime application, CCCCSEE has integrated Corvus Energy ESS into hybrid RTG port cranes for Shanghai’s Zhenhua Heavy Industry Co. (“ZPMC”), the world’s largest port crane manufacturer. We have also had the pleasure of working with numerous other industry leaders, and look forward to telling you about many more projects in the future. Subscribe to Corvus Energy Updates or Follow Corvus Energy on LinkedIn for all the latest news.